Looking for a Payday Loan in Chicago, IL? 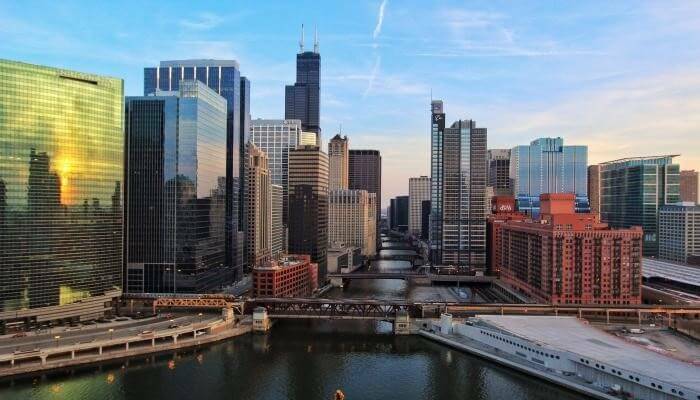 Thanks to the unlimited spending freedom you have with Illinois Lending Corp loans, you can quickly get a loan to cover up a late bill or feel what it’s like to view the entire city of Chicago from the 360 Chicago building. Illinois Lending Corp is not your typical loan provider. Our loans are straightforward, approved in a matter of hours, affordable, easy to repay, and paid to you in cash or by check. Unlike payday loans, which need to be repaid in total from your next paycheck, the duration of ILC loans is up to 9 months. Easy to get. These loans don’t require you to have access to credit cards or a credit check. Citizens of Chicago IL older than eighteen with a monthly paycheck, a valid state ID or driver’s license, and a pay stub can apply for a loan. Quick and convenient. Avoid the hassles of dealing with lots of paperwork and apply online for a loan. Loans are approved soon after you submit your application via our website, and the funds deposited to your account in a few hours or days. Protect your credit rating. Shorter repayment periods are an advantage when you want to protect your credit rating. By going for an installment loan, you repay the total amount in nine months. By using a credit card, you can worsen your credit score and may even have to repay a higher cost of the loan in case of any fines and penalties. A viable option when there is no other. Are you facing an unexpected financial problem and have no other solutions in mind? Apply to get a loan that will help you until your next paycheck and pay it back during the next 9 months. Feel free to compare our rates and terms to payday loans, and you’ll see why we’re the best to do business with in the Chicagoland area! To get approved for your loan, you don’t need a good credit score as we perform no credit checks. In addition to that, there are no hidden costs – there are no prepayment penalties, and we don’t confuse our clients with a long list of fees. People can get tempted to apply for payday loans, but these require a quick repayment which can make it difficult for people to pay them off. By applying for one of our loans, you will join an entire community of satisfied customers in Chicago! Citizens of Chicago IL in need of a loan can get them quickly through an online application form, while we keep their personal information with an SSL encryption. ILC loans can be used for anything which means that your options are endless! From investing in a small business to covering your child’s school expenses to experiencing the most exciting places in Chicago IL.